Lot 10. 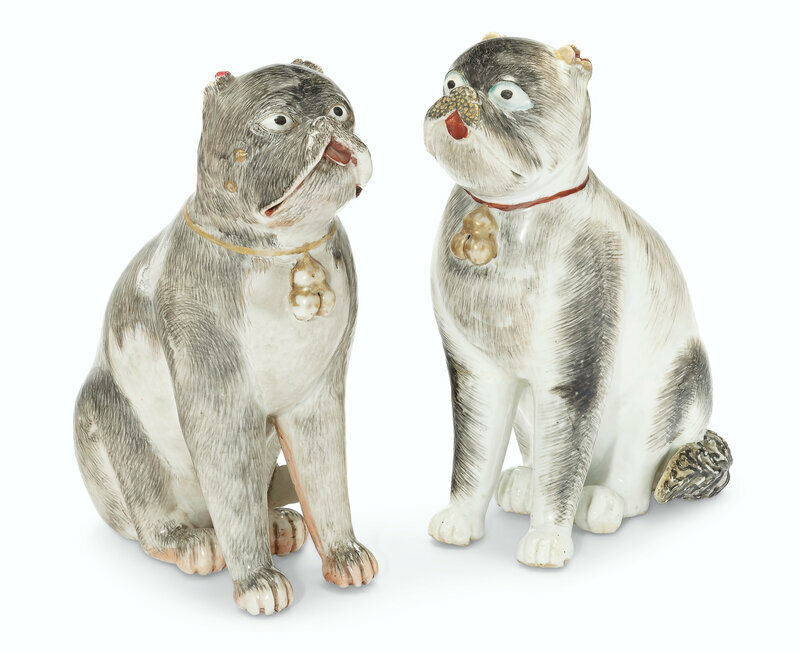 A large pair of grisaille pug dogs, Qianlong period (1736-1795); 10 ½ in. (26.7 cm.) high. 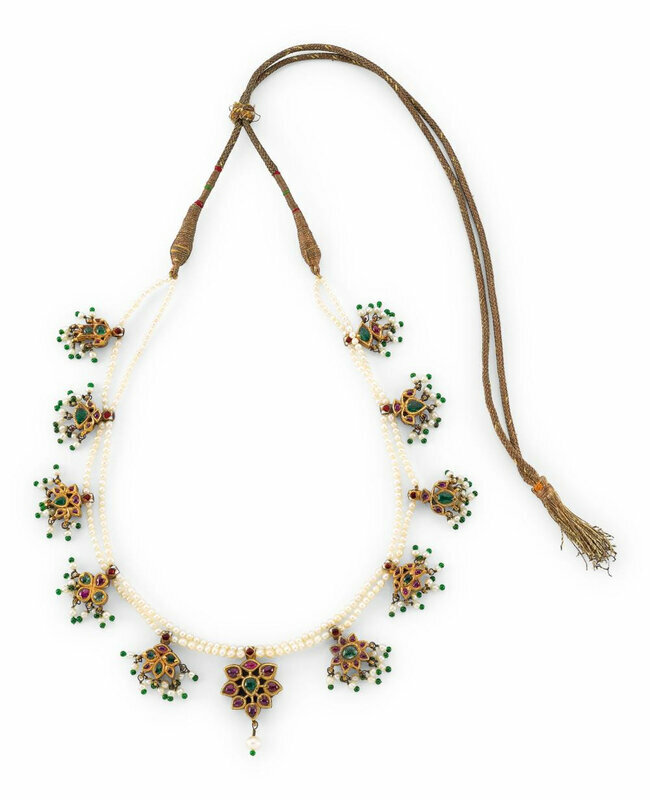 Estimate USD 15,000 - USD 25,000. Price realised USD 25,000. © Christie's Images Ltd 2019. The seated pugs with with alert black eyes, cropped ears and pink tongues. Provenance: With Jorge Welsh Works of Art, London and Lisbon. 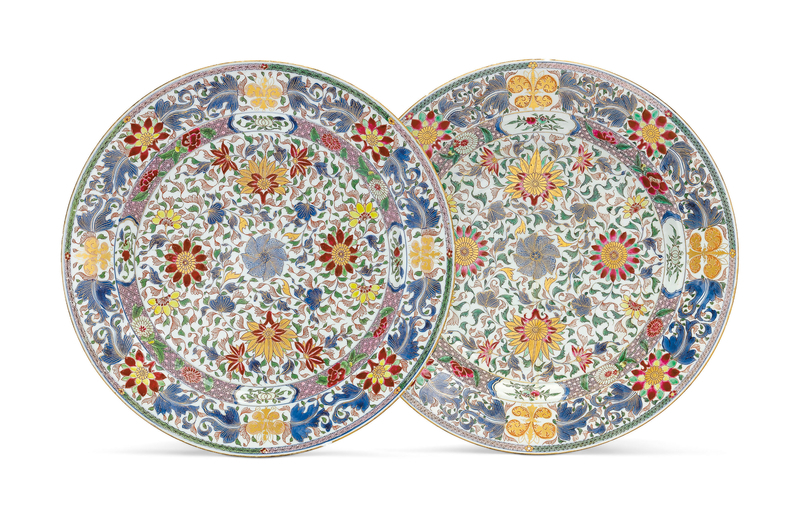 Literature: William R. Sargent, Chinese Porcelain in the Conde Collection, Madrid, 2014, p. 194. Note: The pug breed came from China and was a favourite of Qing Empresses. 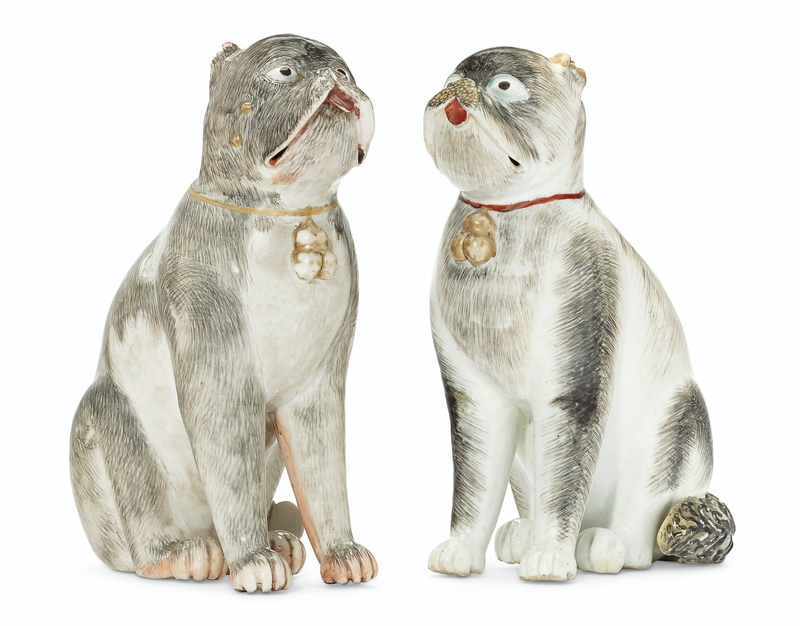 Interestingly, this Chinese export model is based on Meissen versions of the then-exotic dogs from about 1740.